The Lord’s power over life and death in the Gospel of Luke reminds us that Jesus is the Christ and Messiah. May we let his grace transform our hearts. A single grain of wheat teaches us about the journey from death to life and the abundance that God provides through our offering. May we have the courage to embrace our faith and put it into practice! 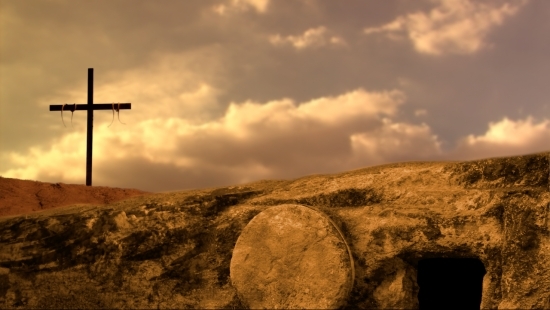 We wait in vigil through the night to hear the news of Easter joy: Christ is risen! At the Easter Vigil we join with the Church around the world, welcoming new members to the faith and recalling the great events of salvation history. Only after the grain of wheat dies can new life begin; this process from death to life shapes both our physical and spiritual lives. What doesn’t belong in our hearts? 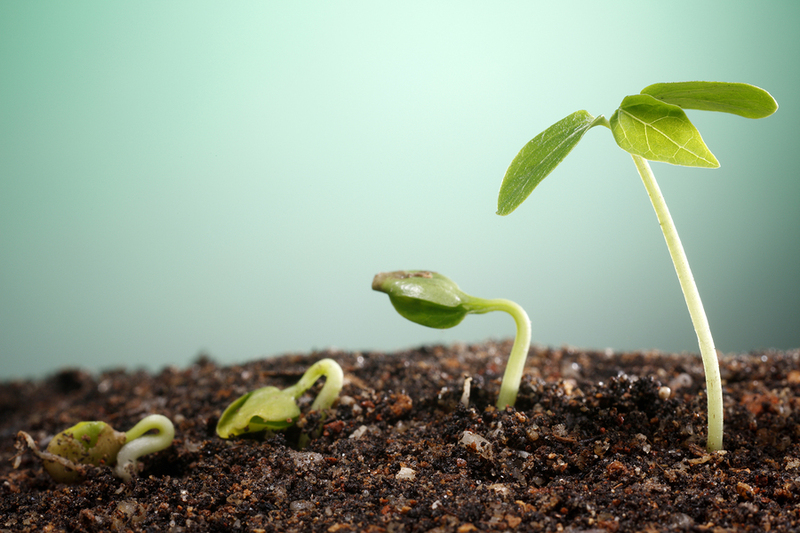 What needs to “die” so that Jesus Christ can raise up new life within us? The Lord offers the grace…may we walk with Him from death to new life. Study: When in my life have I had to let go of something, someone, so that growth could happen? 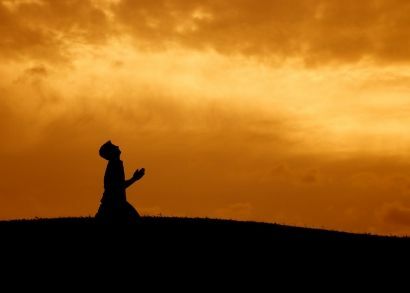 Pray: Am I struggling right now to let go? Ask God for help – wisdom and strength – to do it. Serve: Is there someone in my life that needs help letting go of a past mistake or hurt? How can I help them? Pastoral Note: The 3rd, 4th, and 5th Sundays of Lent provide an option for using the “Year A” readings at Mass for the RCIA (Rite of Christian Initiation of Adults) process. At the Cathedral this year, we will be using Year A during these weeks for this very reason – but for those who follow the usual cycle the reflection is offered below. Picture a grain of wheat in your hand. It is a tiny, lifeless thing; alone it can be crushed for flour. Yet if that grain is allowed to fall to the ground two things will happen. First, the grain will die to itself. That is, it will cease to be a GRAIN of wheat. Its hull will be broken down and disintegrate, the kernel will lose its appearance, and it will no longer be able to be used for flour! Second, the grain will become something new. The grain will be transformed into a new and living creation, full of life and possibilities. It will not resemble the grain – it will be vastly larger, living, able to grow, and full of new potential. 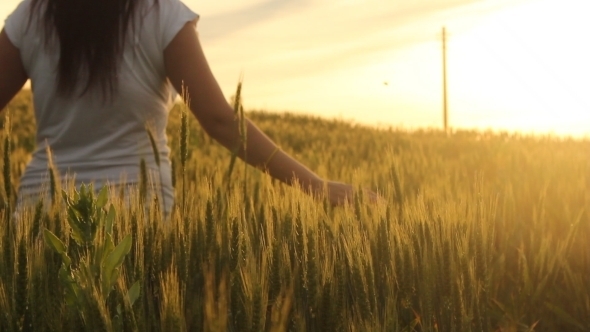 Simply put, as the grain of wheat “died” to its old self, a new life was able to burst forth. The old passed away, making new hope and opportunity available. This is the Paschal Mystery – a journey from death to life. Like the grain of wheat, Jesus will also make this journey; from Good Friday to Easter Sunday, his life will be a process of transformation, change, and new life. Through his death, he will not only be raised to life, but he will become the instrument by which God saves us as well. 1. Death – we no longer need to be afraid! 2. Life – we let go of our selfishness – to grow! 3. Sin – we “die” to our faults; God’s grace fills us. 4. We become like Christ – if he did it, so can we! The Paschal Mystery makes sense, because we encounter the process of death to life in so many everyday experiences. It is not an easy journey, but when we open our hearts to this mystery, we allow God’s transforming grace to work within us, remaking us into a new creation, alive in Christ! 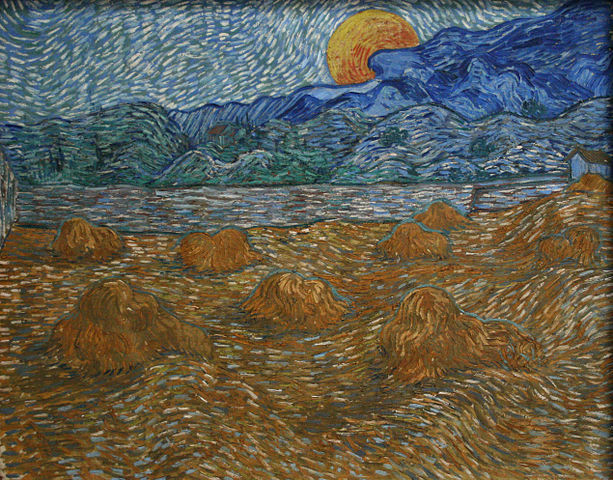 Landscape with wheat sheaves and rising moon, Vincent van Gogh; 1889, oil on canvas, 72 cm x 92 cm, Kröller-Müller Museum, Otterlo, Netherlands.